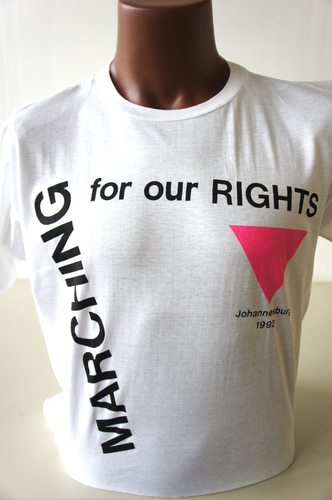 White t-shirt with pink triangles and in the middle a photograph of a guy with wings and clenched fist. 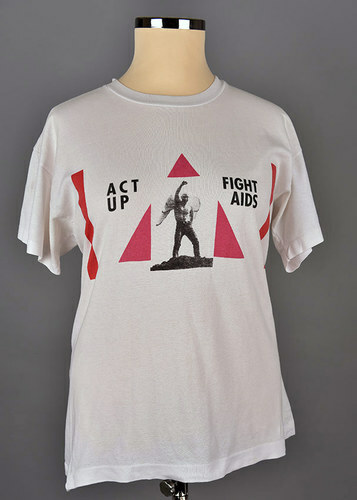 Text: Act up Fight AIDS. 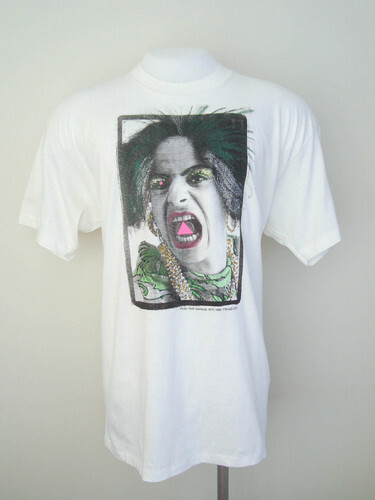 White shirt with photo of face of k.d. 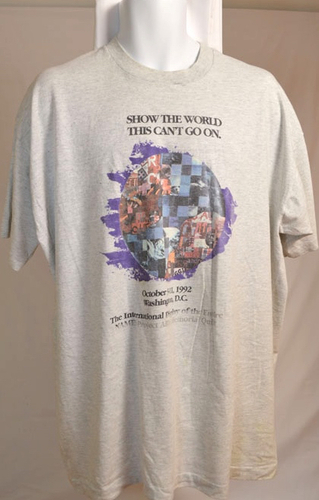 lang in greenish squares. 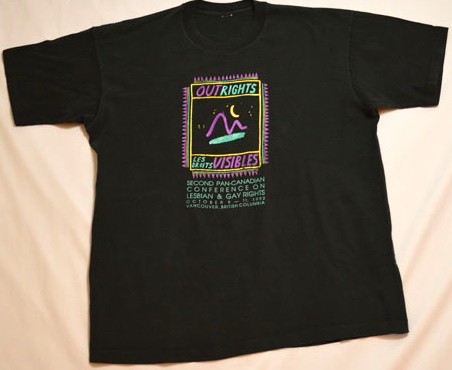 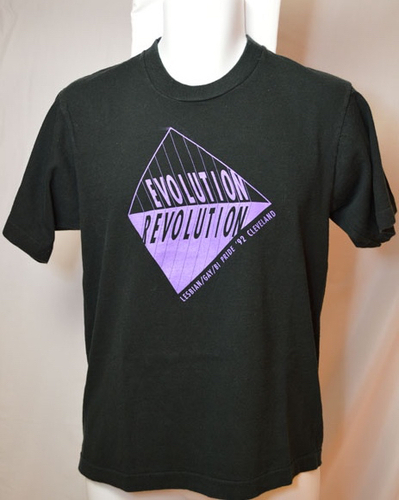 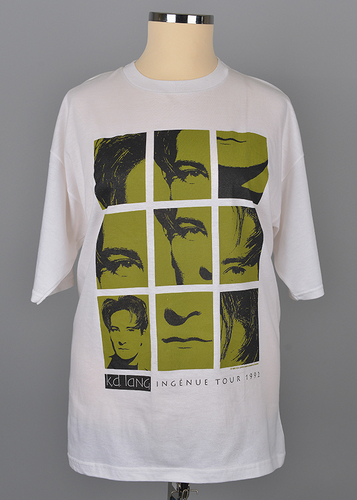 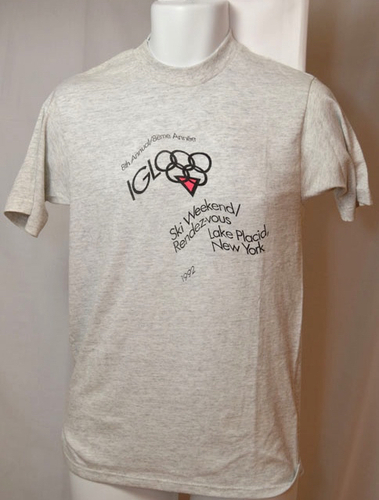 Merchandise of the Ingénue tour 1992. 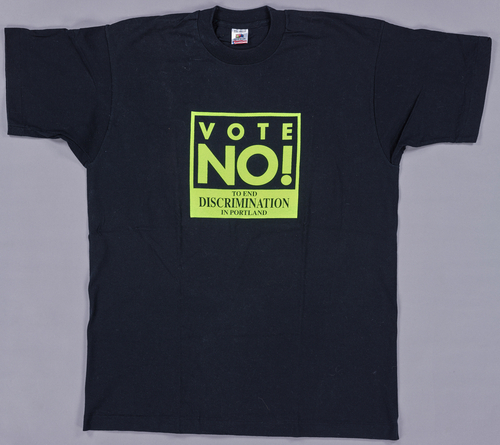 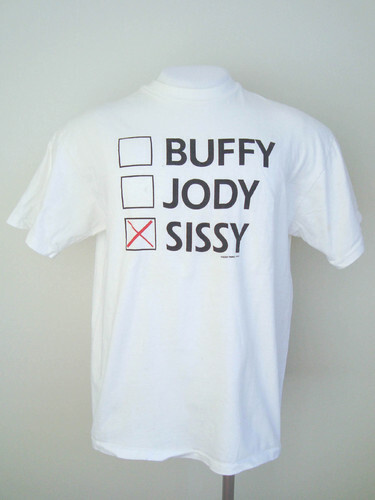 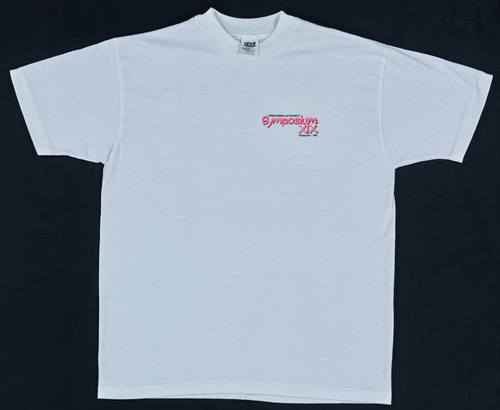 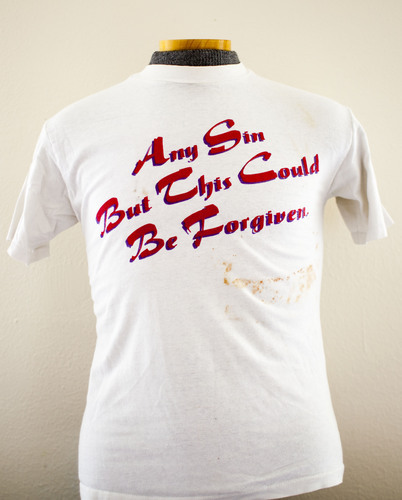 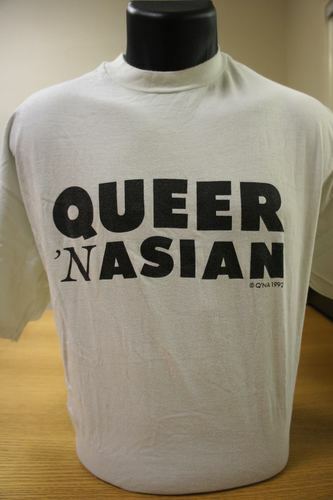 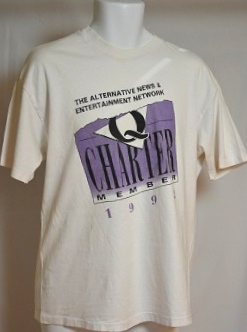 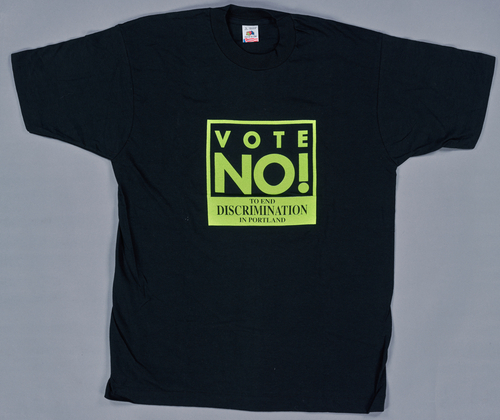 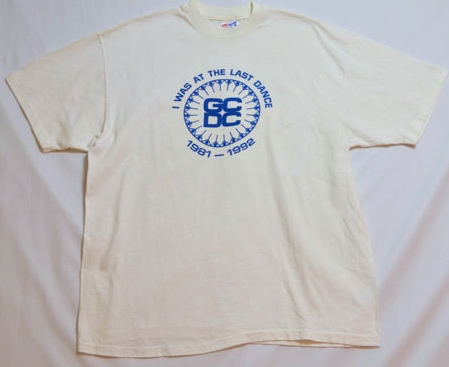 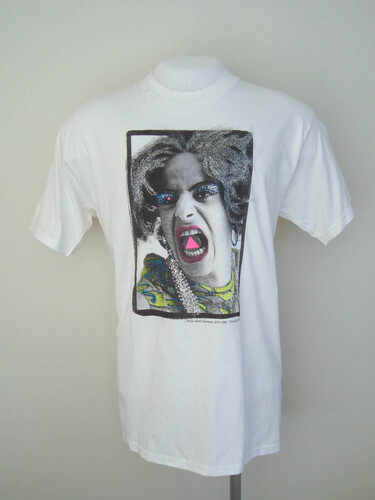 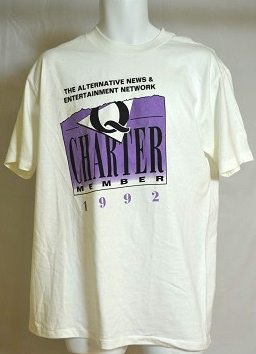 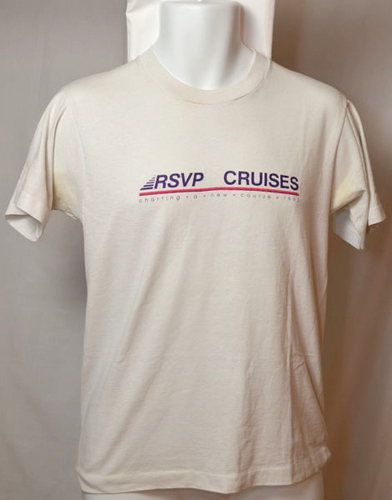 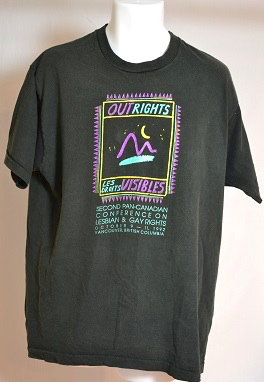 White t-shirt celebrating Sydney Gay and Lesbian Mardi Gras 1992. 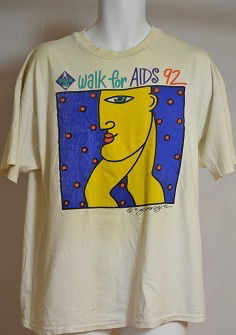 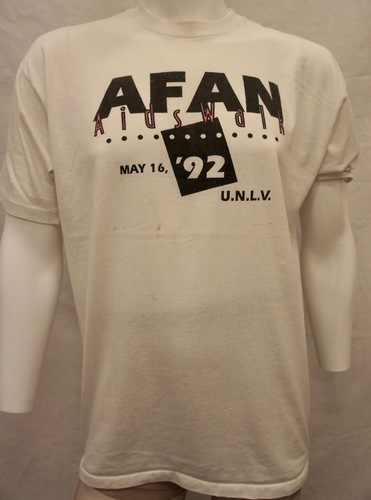 "AFAN AIDS Walk May 16, '92. 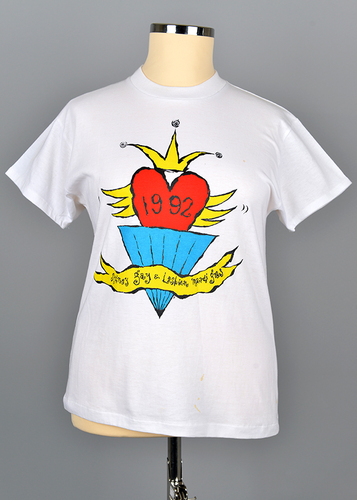 U.N.L.V." 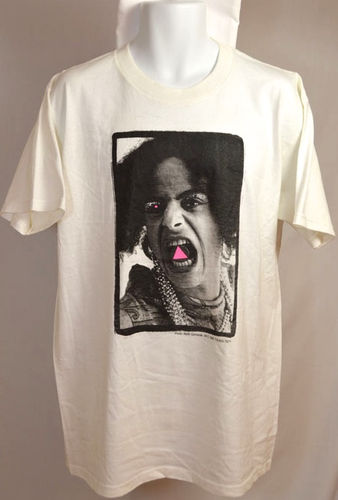 Image of a woman with a pink triangle in her mouth and a pink star over her right eye. 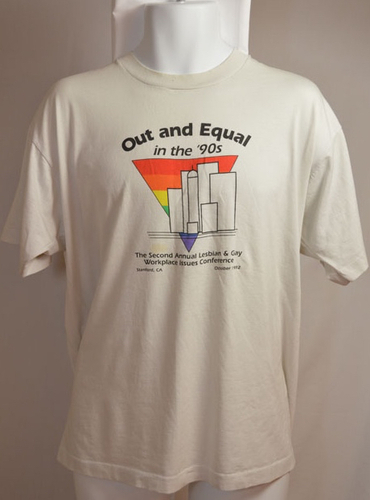 "Out and Equal in the '90s The Second Annual Lesbian & Gay Workplace Issues Conference, Stanford, CA, October 1992"
A stylized cityscape in front of a rainbow triangle. 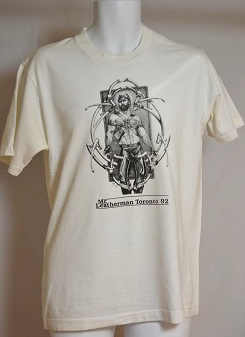 A leatherman in chaps and harness. 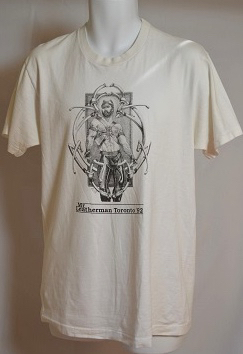 "17th. 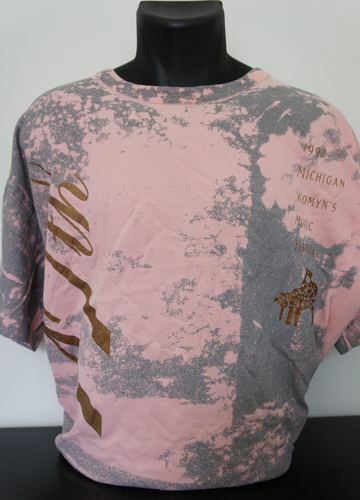 1992 Michigan Womyn's Music Festival"
"VOTE NO! 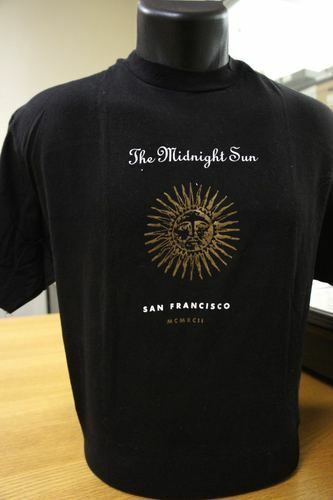 TO END DISCRIMINATION IN PORTLAND"
"MAINE LESBIAN and GAYMAN'S Symposium XIX Presque Isle 1992"
"Any Sin But This Could Be Forgiven"
"The Midnight Sun San Francisco MCMXCII"
"Los Angeles. 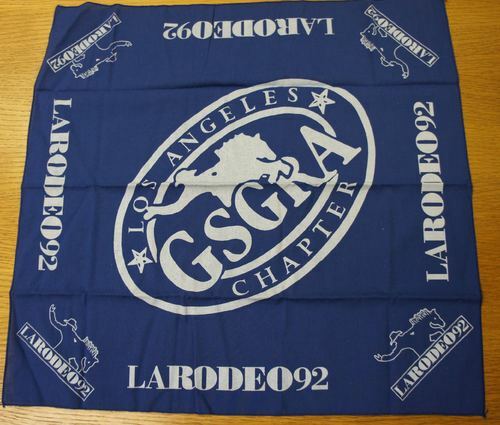 GSGRA Chapter. 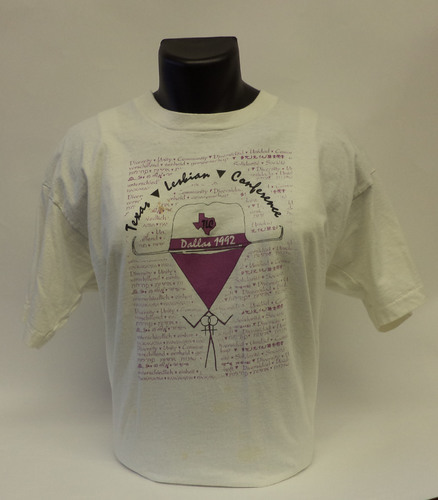 LARodeo92"